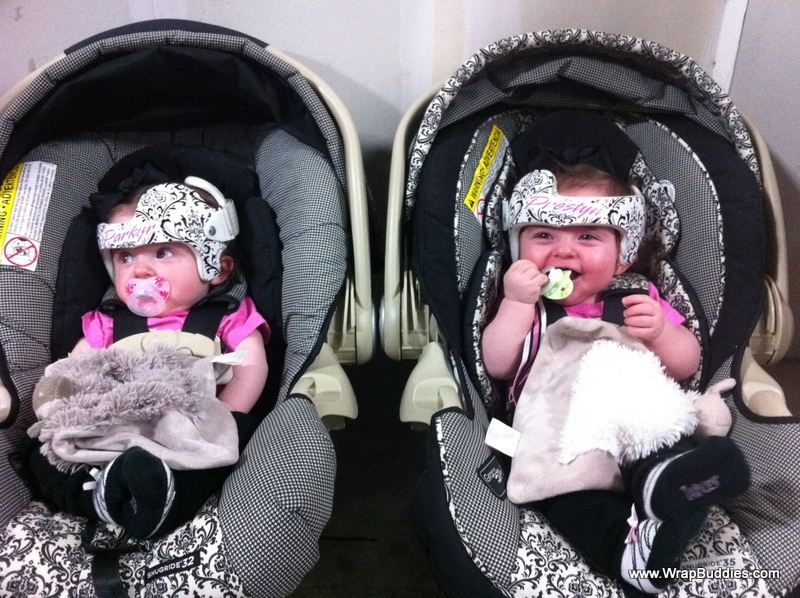 Our mission is to help families that are going through a tough situation caused by Plagiocephaly. Plagiocephaly is a medical condition in infants that is characterized by the flattening of one side of the skull. To correct the asymmetry, doctors will apply a medical helmet for the child to wear 23 hours of the day. The Wrap Buddies program provides a colorful wrap over the not-so-attractive medical device, free of charge, for families who are in this situation. Since the inception of Wrap Buddies, we have wrapped over 1,500 helmets, as well as prosthetic legs, walkers and a few scoliosis braces for children. Our goals are high for 2016! We have recently made our templates and tools available to the public with hopes that shops around the nation will choose to offer this service to families in their area! We would like to assist other willing companies with how-to videos and artwork kits. Then many more families across the country can benefit from the Wrap Buddies program! If you, or your company, are able to help out financially and/or physically it is greatly appreciated. ​to the families that we are able to touch through Wrap Buddies.